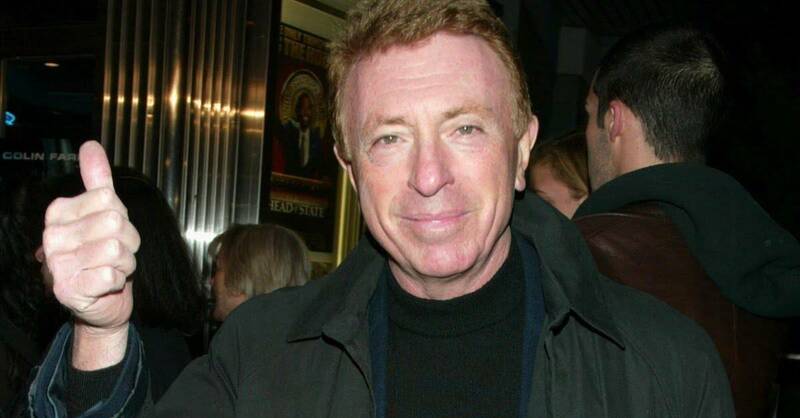 Saying goodbye to a maverick and a king: Why I will always remember and respect the legendary Larry Cohen, for who he was as much as for what he did. As someone who has always felt a connection to the industry and particularly the horror/exploitation genre for over 40 years, there are those who work in all different aspects of filmmaking that I have looked up to and admired for a myriad of archaic reasons. Much of my formative years of early film watching consisted primarily of horror, sci-fi and exploitation fare from the 70s and 80s, showing me dark corners of the human condition and sometimes surprising me with social subtext that many of my peers did not seem to catch (but thinking back on that, considering my age during that time frame, it seems shocking that even I picked up on them). 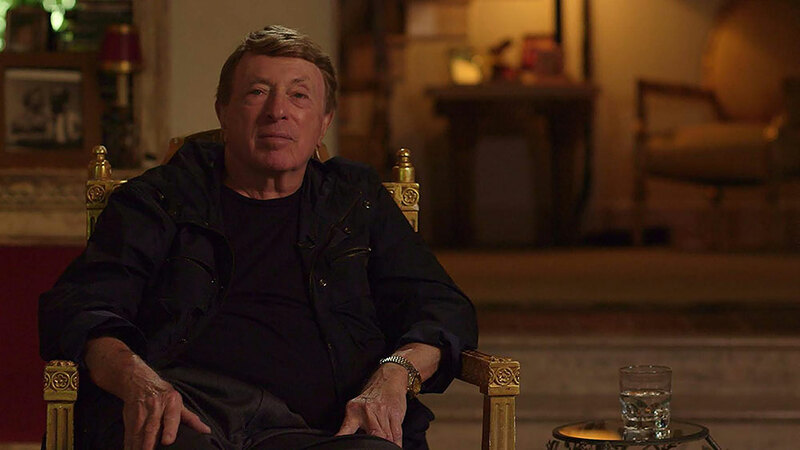 With the tragic passing of Writer, Producer and Director Larry Cohen on March 23rd of this year, I felt the need to look back on a man who was not afraid to take a chance on himself and his body of work that has inspired countless people in the industry. 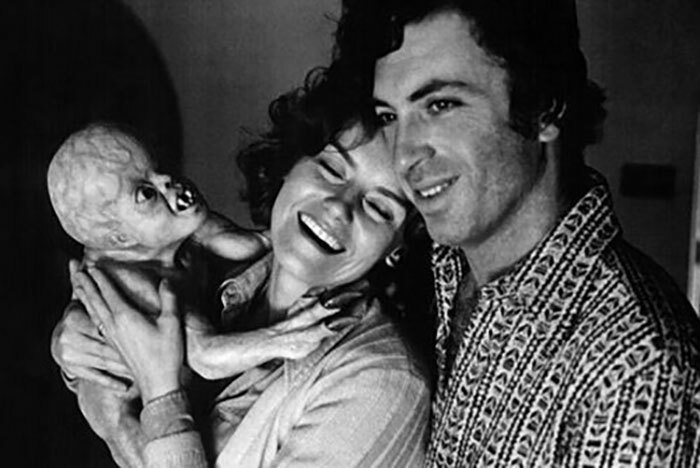 The first film I ever saw that Larry had a hand in was IT’S ALIVE (1974), the start of his killer baby trilogy that to this day still resonates with genre fans. I somehow managed to see this late one night on cable (odds being during a Saturday Nightmares marathon on USA) and there was just something captivating about the storytelling and grittiness of the film. As a 9 year old what fascinated me the most came from the FX side of the film (as this was the time my interest in doing FX work started to emerge), but that tickle that journalists have when something intrigues them was starting to course through me as well (even though it would be another 11 years before I would start my journey down that path). As I got older and started doing research thanks to the internet and my own personal life experiences, I would revisit this classic when the different VHS, DVD and Blu-Ray releases came out and see how expertly he threaded the social context of abortion, pharmaceutical experimentation, corporate greed and parental rights into a horror film. This would not be the last time he would do this in his work and continue to draw me further into his genius. 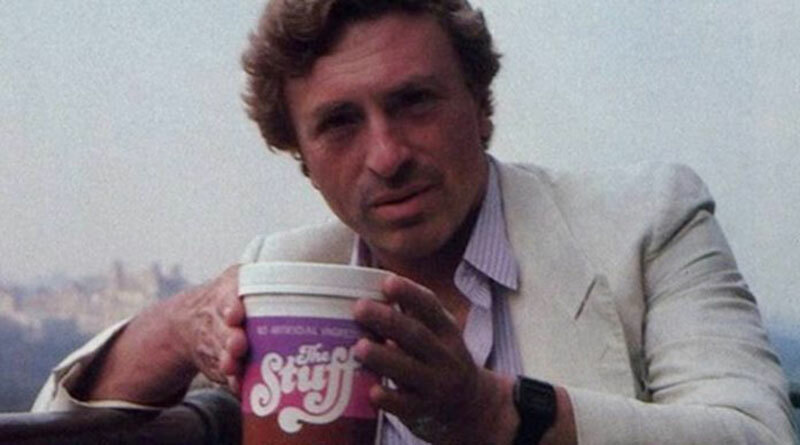 The sheer and utter brilliance of Cohen’s THE STUFF (1985) paints the perfect picture of the mentality of the 80s and how the message of the film still holds true even today. Who ever could have guessed that a film about how a marketed product for the masses slowly takes control of all who fall into its influence would actually be talking about such real social issues such as mass marketing, the health food craze, government cover-ups, corporate greed and bandwagoning a cause just because everyone else is doing it. Once again, the FX work was what initially drew me in, but the storytelling was a fun ride as well. Cohen gets the best out of Michael Moriarty and the rest of the cast as they hit all of the character tropes you would expect from that time period. This film really impressed upon me how brilliant Larry was for finding something so simple and in everyone subconscious and turning that into a horror film you could enjoy on several levels. It may be the fact that he was able to blend social issues into entertainment, while keeping in mind that it still needed to be entertaining and not preachy so as not to distract the audience. 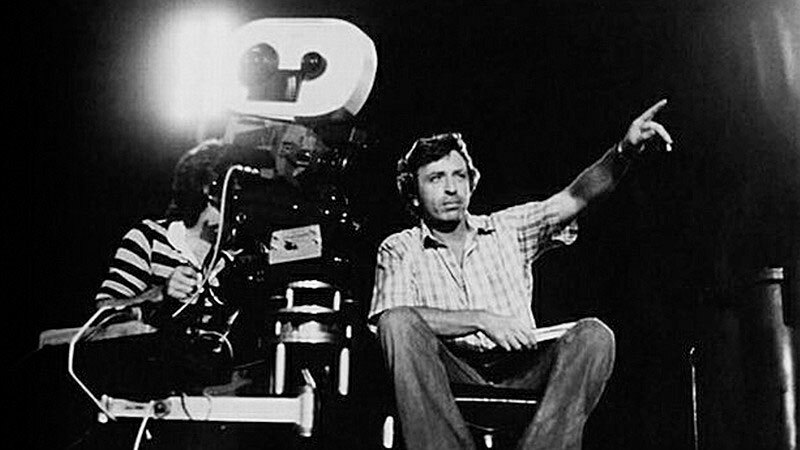 The joy of his films over the years would continue with his releases of GOD TOLD ME TO (1974), IT LIVES AGAIN (1978), FULL MOON HIGH (1981), Q, THE WINGED SERPENT (1982), IT’S ALIVE III: ISLAND OF THE ALIVE (1987), A RETURN TO SALEM’S LOT (1987), THE AMBULANCE (1990) as well as his episode PICK ME UP from the MASTERS OF HORROR series. Every time I would watch anything that Larry directed, I would be reminded of how he reached a point where he decided to gamble on himself so that his creative vision could be his own, unfettered by the suits and talking heads that often manage to get involved in the elements of filmmaking that they have no business in. His passion in all aspects of the process of making film is the blueprint every person who is looking to break into the industry should at least read, if not follow to the very end. When you hear how the people Larry worked with over his career talk about him and what he brought to the set, you know that his goal was not to just make himself look good but to make everyone involved the best they could be — a maverick in every sense of the word. 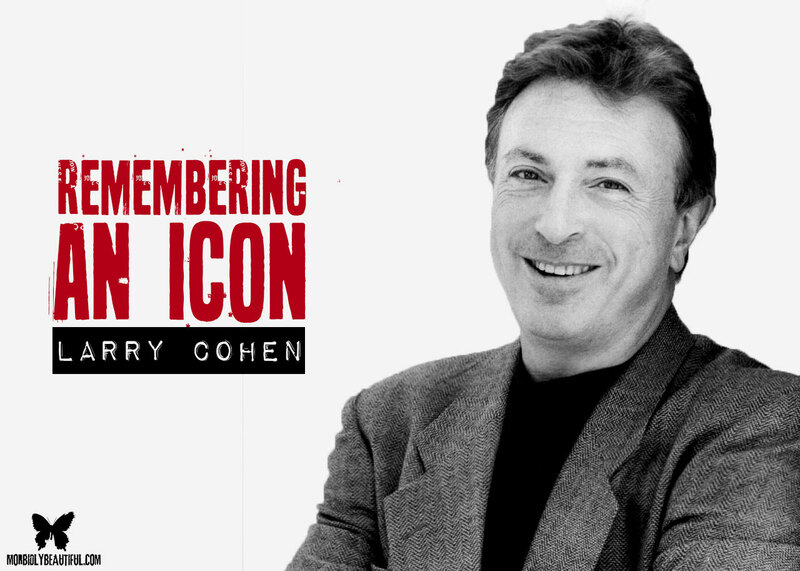 Over the years, as I struck down the path of becoming a journalist, I always found myself gravitating my way back to Larry’s films and how they shaped my viewing habits. Reviews of his work came and passed over the years, but the one thing that escaped me was the opportunity to interview Larry. I had been fortunate enough to interview Laurene Landon on the podcast about her amazing career and spoke to her at length about working on MANIAC COP (1988), which Larry had written. I remember joking with her that I would love to interview him one day, and she mentioned how she was still such great friends with him and would present the idea to him. Much to my surprise, she texts me on the morning of June 26th of 2018 out of the blue with Larry’s home phone number and a request to contact him as soon as possible. Stunned, I called the number and Larry himself answered the phone. We talked for a few minutes, and he asked me if I could be ready to tape in two hours as he had several things coming up and he was not sure when he would be available again. Without a second thought, I agreed and prepared myself to interview one of the greatest legends the industry has ever seen. To say it exceeded my expectations is an understatement. One of the most amazing things I will take away from that interview was just how gracious he was about everything. I never once felt like he was grandstanding or inflating his own ego as he spoke about how he got into the industry and worked his way up to achieve his goals in the industry. He always praised all of the fine people he worked and how he appreciated their efforts as well. I never got the feeling he had any regrets or wished he had done anything different in the way he approached things. The other thing that really stands out to me is how kind he was with me during the interview process. After we had finished taping, he complimented me on the interview and expressed how much he enjoyed my line of questions and how I approached his career. I can’t even begin to explain to you how that made me feel, hearing a man of his stature in the industry who has been interviewed by the best telling me how much fun he had. 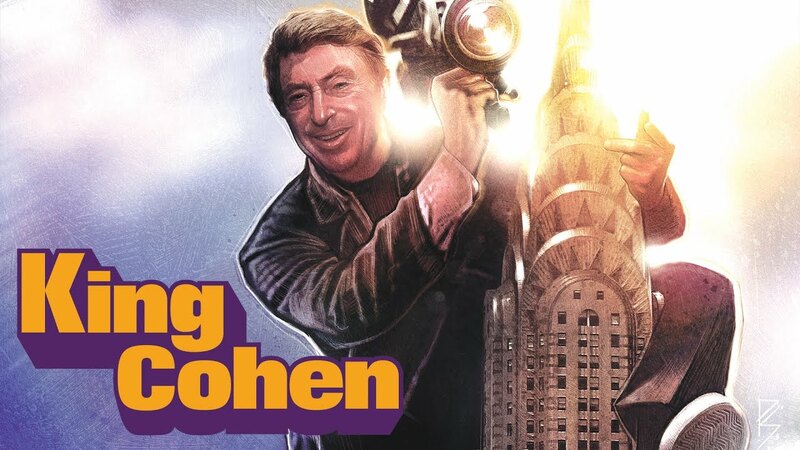 Not long after, I got to see and review the KING COHEN: THE WILD WORLD OF FILMMAKER LARRY COHEN (2017) documentary. I will never forget the message Larry sent me after reading the review thanking me for such an in-depth look into it. He even went out of his way to send me a personalized autograph poster from the release. To say I was deeply moved by how he felt about the review and his amazing gift is something I will always remember and cherish. When I heard about his passing, I teared up at the loss of one of this industries greatest creative minds and one of the greatest and kindest human beings I have ever had the honor of interviewing. Larry, you will be missed, and I hope that all the great things I saw in you will be seen by future generations to come. Rest In Peace my friend.